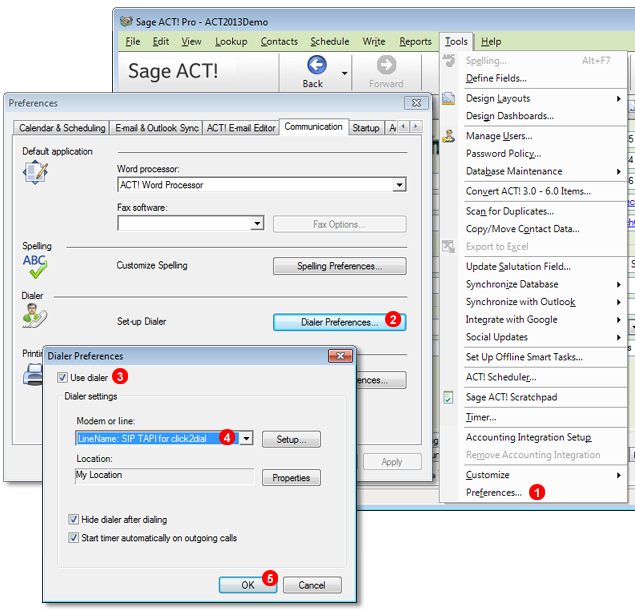 In this tutorial we will show how to enable Click to Call functionality in Sage ACT! Pro software. First you will need to add SIP TAPI driver to your system as explained in our Manual here. Next open Sage ACT! application and follow steps below. Go to Tools -> Preferences... menu. 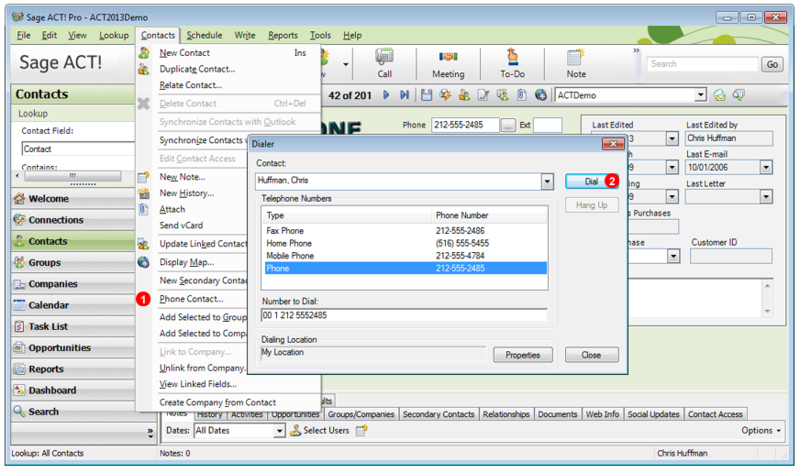 Go to Contacts -> Phone Contact... menu. Select number you want to dial and click Dial button.